Only six more sleeps til my birthyday! So as most of you already know (due to my constant reminding people), my birthday is next Tuesday. I’m going to be three which is a seriously important age. There’s only one problem, my Daddy won’t be at home on the day 🙁 But he will be here this weekend so I have very graciously decided to have two birthday days so that he doesn’t miss out. And if I end up with extra presents, well, I guess that would be ok. I spent most of today working on the schedule for my birthday day on Sunday. Here’s an early draft, I’m sure I’ll think of other bits to add soon. 4pm – Birthday nap to get ready for the evening. 7pm – Birthday cake time with lots of candles, balloons and singing. Banners with ‘Oink Rules’ are also acceptable. 7.30pm – Presents. Lots. No need to wrap them. 8pm – Birthday movie and popcorn time. I would like to see a funny film. There should be no cute pigs in the film because this day is all about me. The popcorn must be salty and I must have a whole bag to myself. 10pm – More birthday singing while I head to bed. Mummy has to repeat it all again. 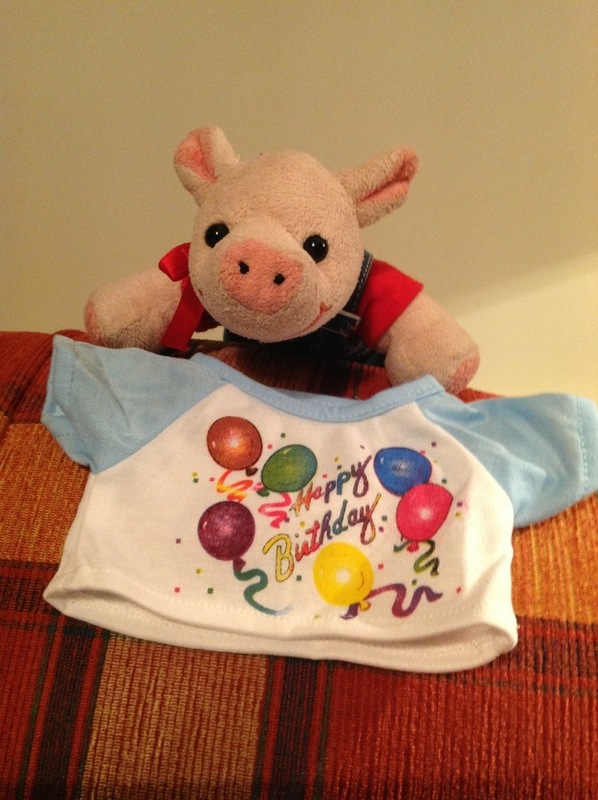 This entry was posted in Uncategorized and tagged Birthyday. Bookmark the permalink.